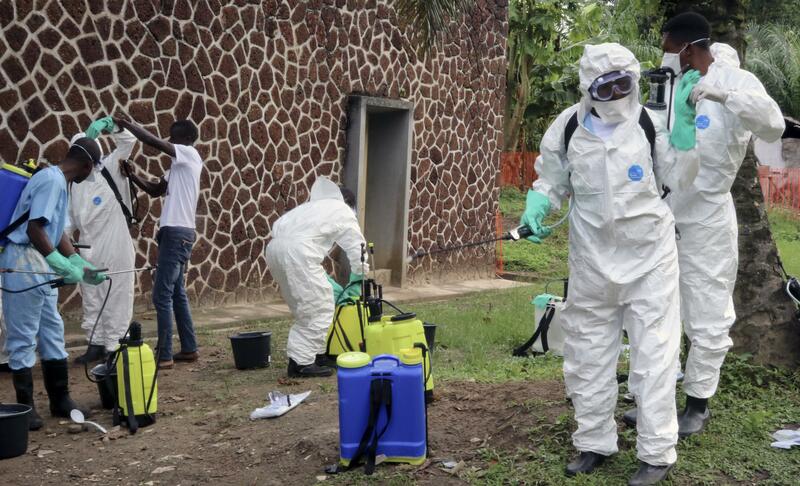 Tue., July 24, 2018, 2 p.m.
KINSHASA, Congo – Congo’s latest outbreak of the deadly Ebola virus is over, the health ministry announced Tuesday, after a speedy response to limit its spread in remote rural areas and a city of more than 1 million people. Health experts said the use of a still-experimental vaccine on more than 3,300 people was a major factor in containing the outbreak, Congo’s ninth since the hemorrhagic fever was first identified in 1976. “From the start, we had prepared for the worst of scenarios,” the health minister said. “And our fears were quickly confirmed” with the spread to Mbandaka early on in the outbreak. “We were very worried that this epidemic would come to Kinshasa. The God we prayed to heard our prayers and spared us,” she said. Dr. Ibrahima Soce Fall, the agency’s regional emergencies director in Africa, called the response vastly improved after the devastating Ebola outbreak in West Africa that killed more than 11,300 people from 2014 to 2016. WHO, criticized for its slow response, went through a “profound reform” after that, he said. But Dr. Stacey Mearns, senior health coordinator of the International Rescue Committee’s emergency response team, warned against too much celebration. “It’s always good to see the end of an outbreak, but it’s certainly not the end of Ebola in Congo. Ebola is endemic here,” she said. Published: July 24, 2018, 2 p.m.